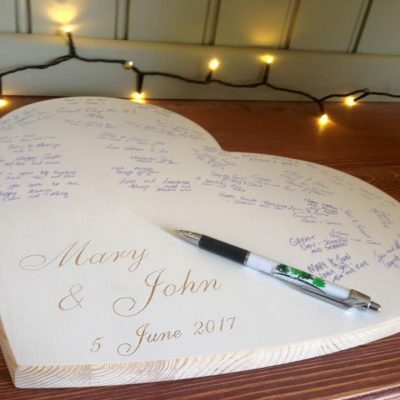 Stunning Personalised Love Heart Guest Book makes a beautiful keepsake of all the memories on the day that your guests share. 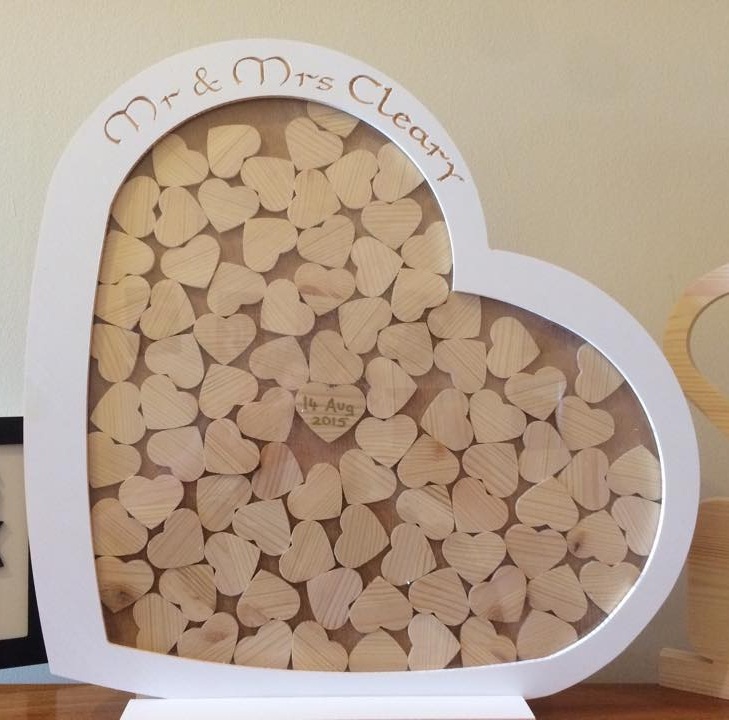 Made from solid pine and sprayed white. 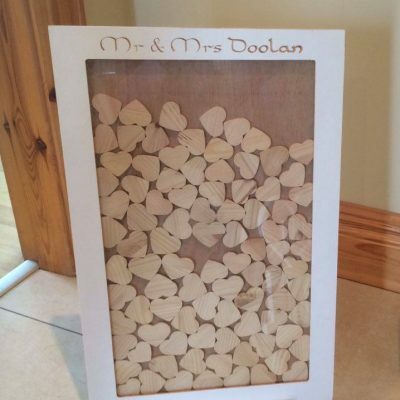 Name is engraved into the frame giving a beautiful two tone effect. 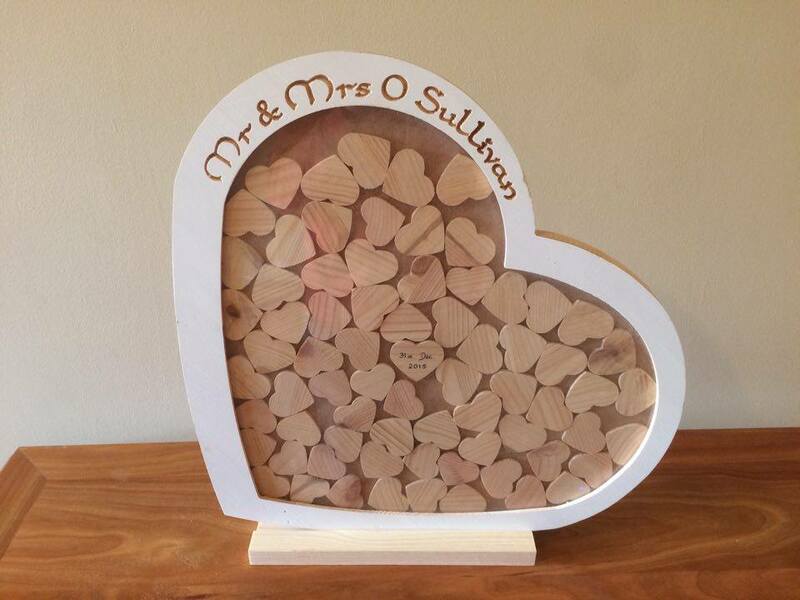 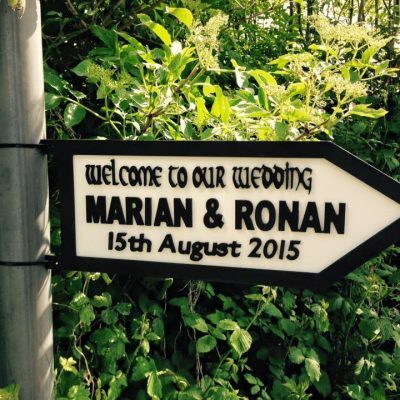 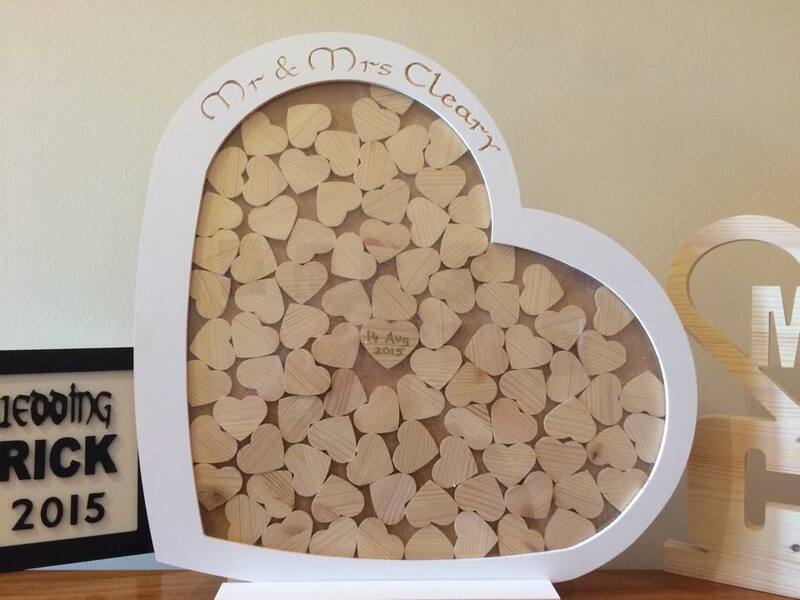 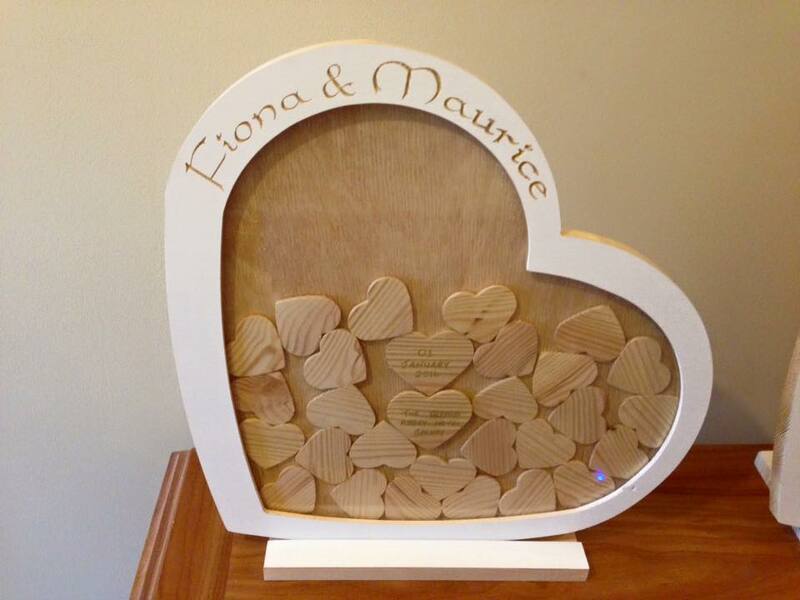 Holds approx 75 hearts which your guests can sign, also comes with his own stand.